This Personalised Backpack Bag comes lovingly embroidered with the 'TRACTOR' logo and a NAME of your choice. 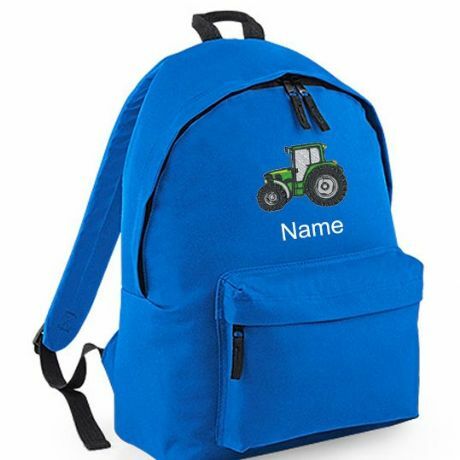 This personalised tractor rucksack bag is ideal for holding school belongings, lunches, books, clothing. It can be used as a swimming bag, sports bag, travel bag or an everyday use bag, the list is endless. The perfect gift for Tractor and farming fans!! Embroider this bag with a Name, School Name or any other words of another design choice. Just fill in the boxes with your details and we will create your stunning design for you! Price includes FREE DELIVERY to the UK, all other postage destinations are calculated at checkout.